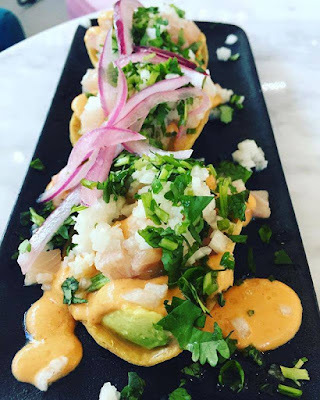 Mini ceviche tostadas at Lola 55 in downtown San Diego. One of my biggest personal challenges as a writer is being able to write short, concise articles for news outlets with limited word counts. Many of my favorite pieces to read, as well as my favorites to write, are long-form pieces that dive into the subject with great detail. If a story is interesting enough, I will take the time to literally read thousands of words about things that I never would have thought to seek information about, such as peanut butter and jelly sandwiches, modern slavery in America or iron lungs. 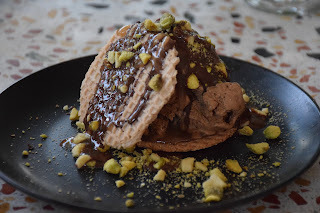 As a person who strives to write captivating, long-form pieces for online and magazine publications, it was especially difficult to limit an article about my new favorite restaurant to 650 words. I first met Lola 55's Executive Chef Andrew Bent when he was catering my friends' wedding earlier this year. 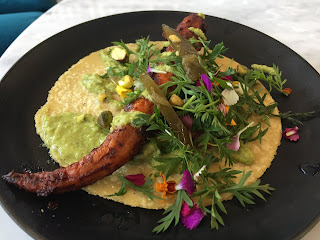 Upon tasting his tacos, and especially after trying his horchata and chocolate mole-flavored ice creams, I knew that Lola was going to be one of my new favorite spots in San Diego when it opened. Since it's debut in mid-August, I have stopped by Lola several times, each time more impressed than the last. After now having tried almost everything on the menu, I can confidently say that there isn't a single item that I wouldn't want to eat again. with chocolate and garnished with pistachios. So much can be said about the quality of the food at Lola. 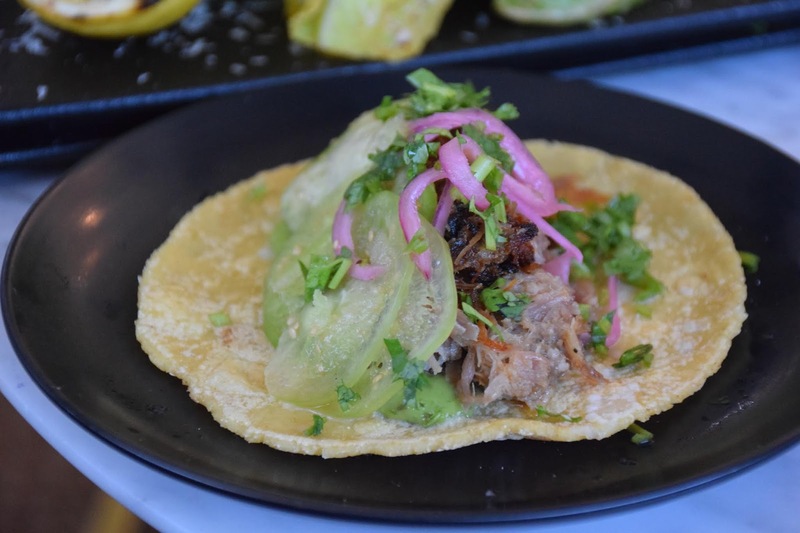 Handmade tortillas start each taco with a solid canvas and the sauces perfectly complement the flavor of the individual components without overwhelming them. 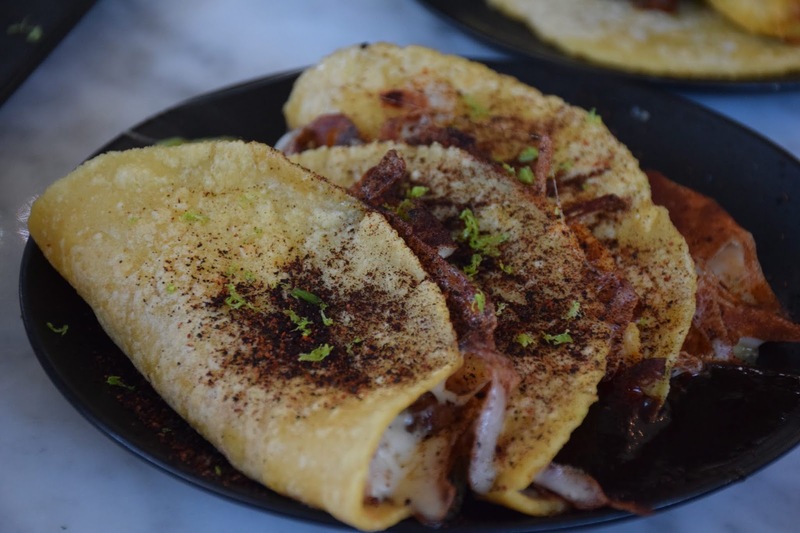 For anyone on a budget, this spot is the first stop for either a quick snack or a full meal. Lola 55 is much more than your typical taco shop. When dining there, you're truly getting a gourmet meal at a fraction of the price. I recently interviewed Bent for an article published in The Daily Aztec at San Diego State University. 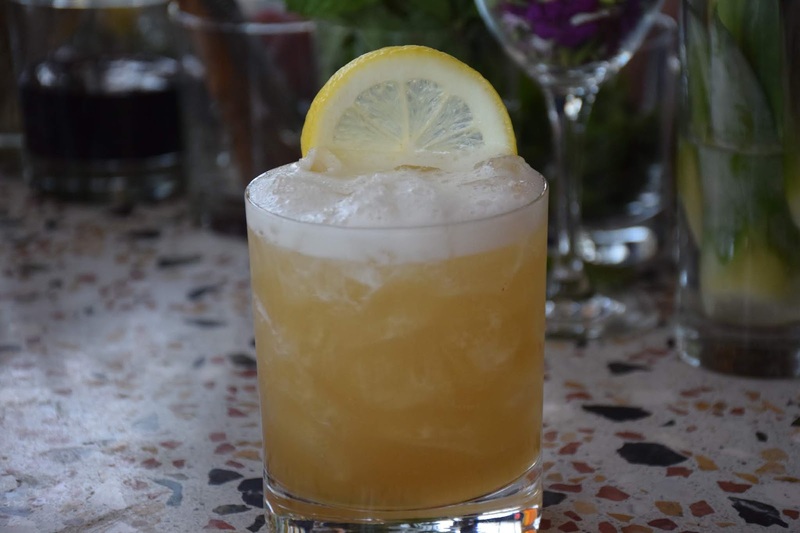 Check out my article online, and comment below to let me know where I should dine next. pistachio salsa, marigold and chamomile. mousse, crisped maciza and shaved tomatillo. Oaxaca with lime zest, pasilla salt and Lola's beans are mildly addictive.